A warm and cozy coffee drink is a staple this time of year. 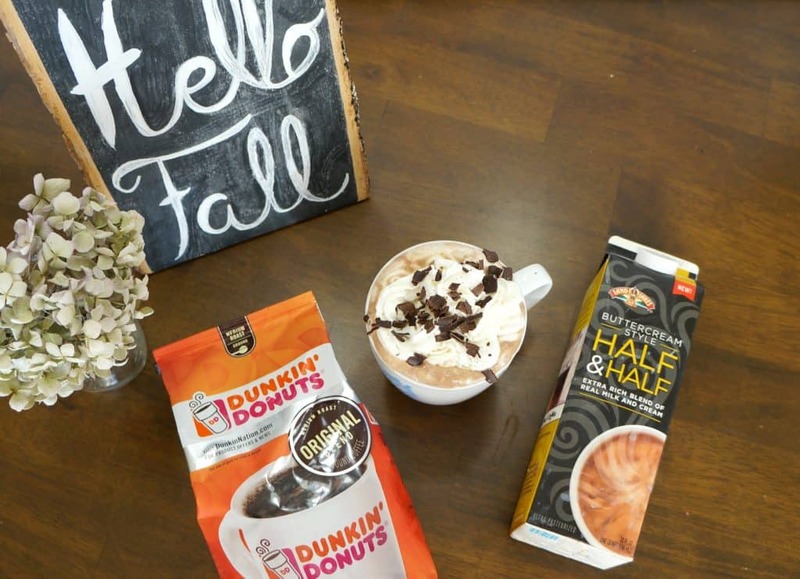 Nothing wards off the chill of fall quite like a hot cup of coffee. 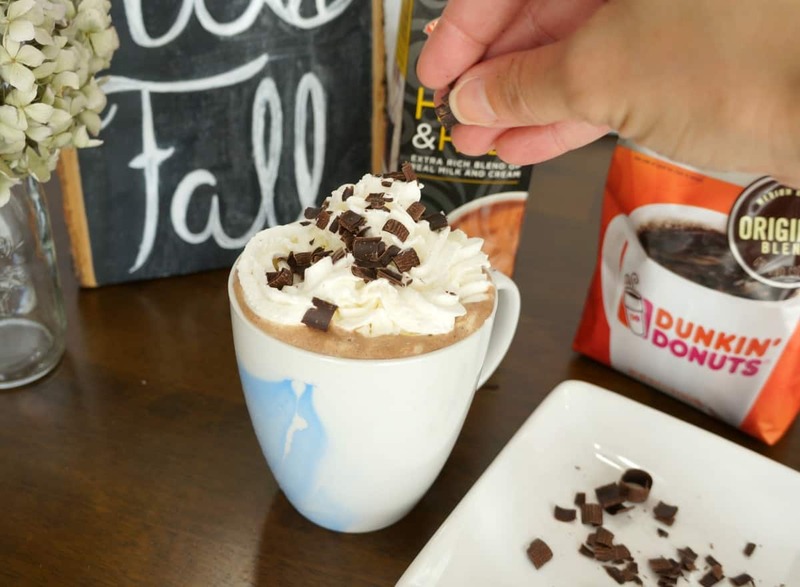 You could head to a coffee house and order something, or you could stay in your PJ’s and make this delicious Cafe Mocha at home. 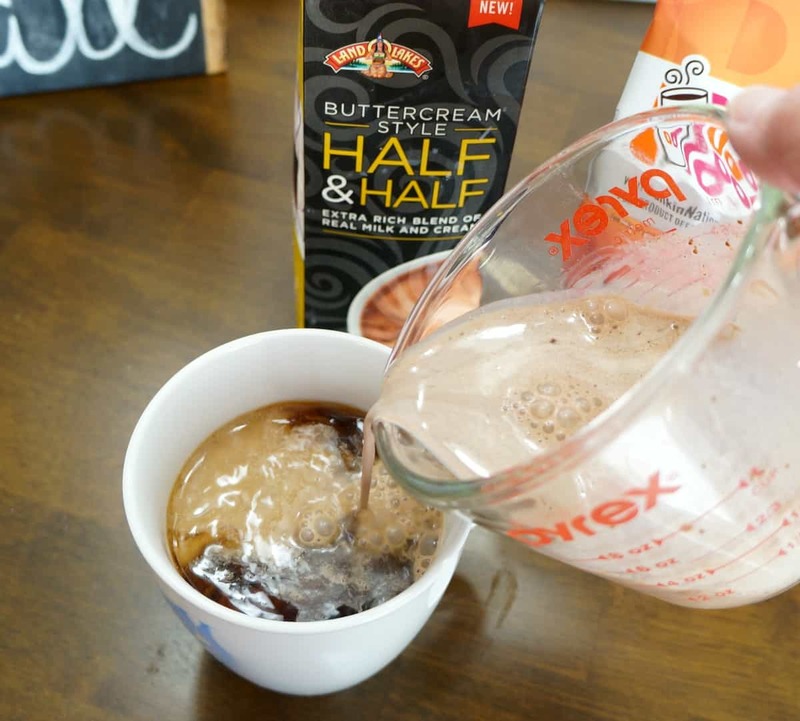 I have a recipe for you that is so easy to make by bundling up creamer and coffee to create something amazing. I am all about making coffee and coffee drinks at home. It’s so much easier to make my own than head out with my kids just for coffee. When I make this cafe mocha at home I know exactly what’s in it and can enjoy every last sip relishing in the fact that I made it all by myself. It really does have that creamy coffee house taste and warm cozy finish. Any good coffee drink starts with smooth high-quality coffee. Dunkin’ Donuts coffee provides a positive boost you expect from your coffee and is available in a variety of formats, blends, and flavors. 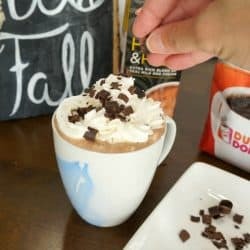 I brewed Dunkin’ Donuts coffee in my coffee pot and used that as the base for this Cafe Mocha. In addition to smooth delicious coffee, I used extra rich and creamy Land O Lakes® Buttercream Style Half & Half. The simple goodness of half & half, made with an extra rich blend of real milk and cream is truly indulgence done right. 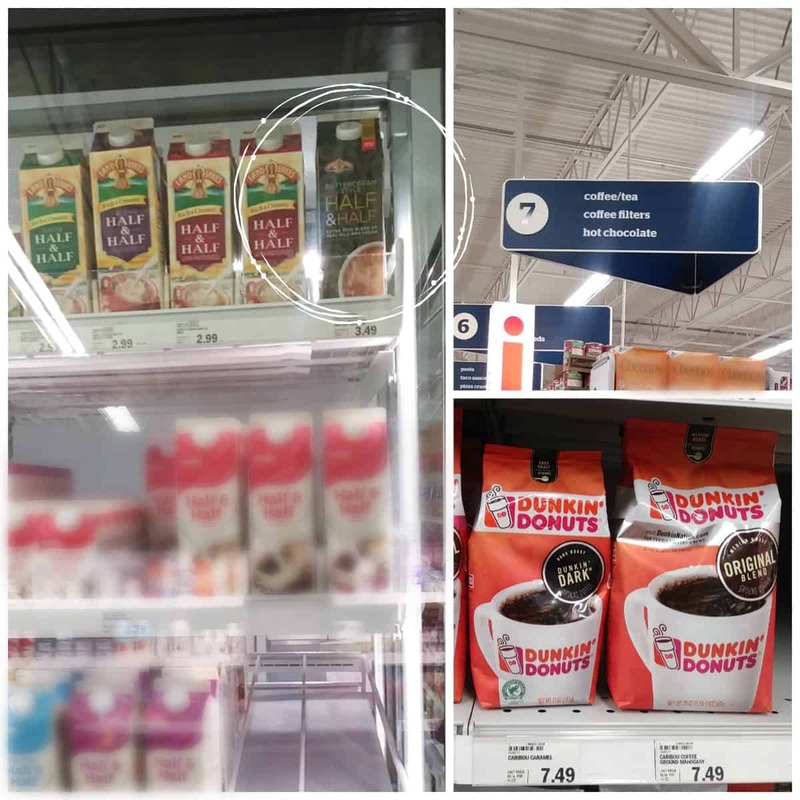 I bundled up my coffee and creamer from Meijer to make this recipe. I blended the Land O Lakes® Buttercream Style Half & Half with a packet of hot cocoa mix to make the mocha for this recipe. Once the coffee and mocha were mixed together I topped this drink with whipped cream and dark chocolate shavings. You can easily make chocolate shavings using a regular kitchen peeler and a square of your favorite dark chocolate. 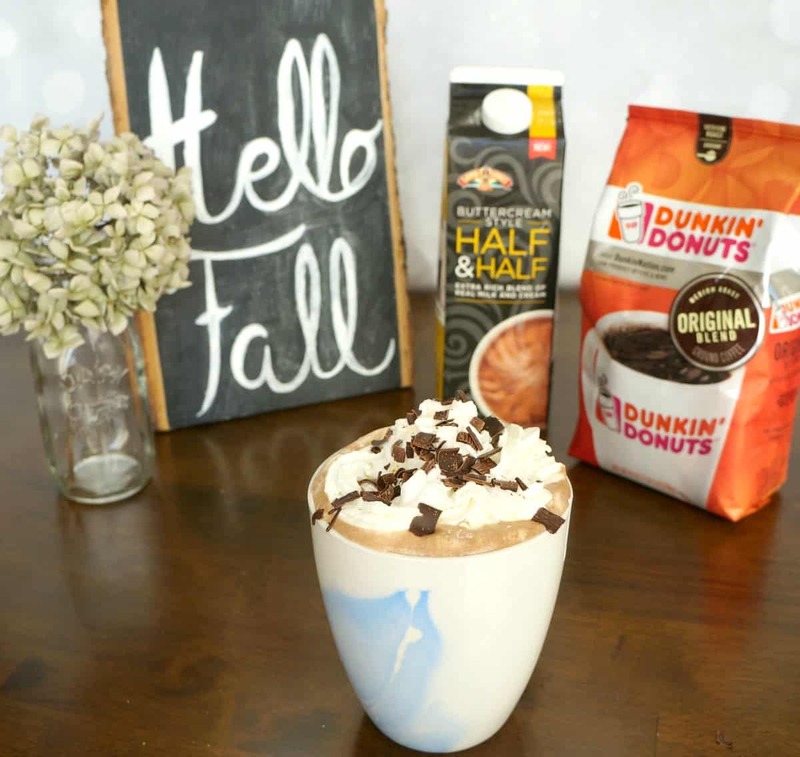 This cafe mocha is seriously easy to make and is the perfect drink to enjoy on a cool fall morning. Or as an afternoon pick me up before you head onto a busy evening with kids. Brew coffee and fill a mug about 3/4 full. 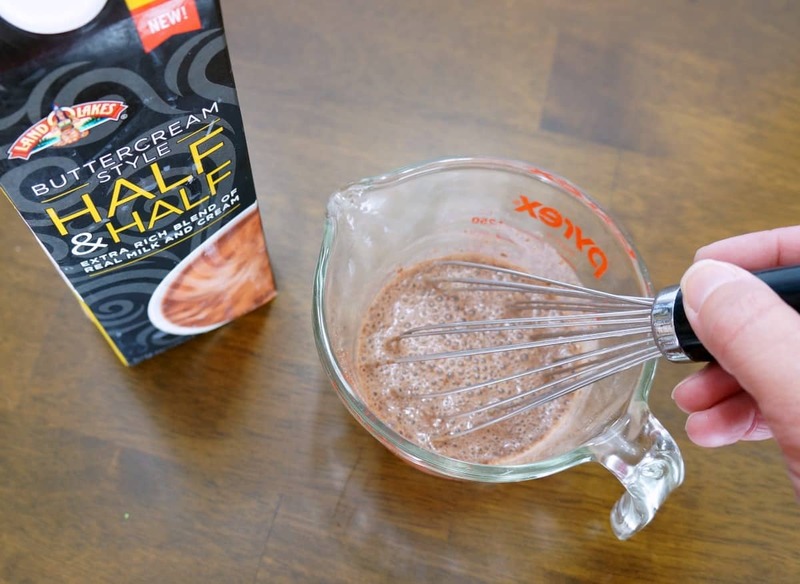 In a microwave save glass container warm Land O Lakes® Buttercream Style Half & Half for 30 seconds, then whisk in 1 envelope of hot cocoa mix. Pour the hot cocoa into the coffee then top with whipped cream and chocolate shavings. I know you are going to give this recipe a try. 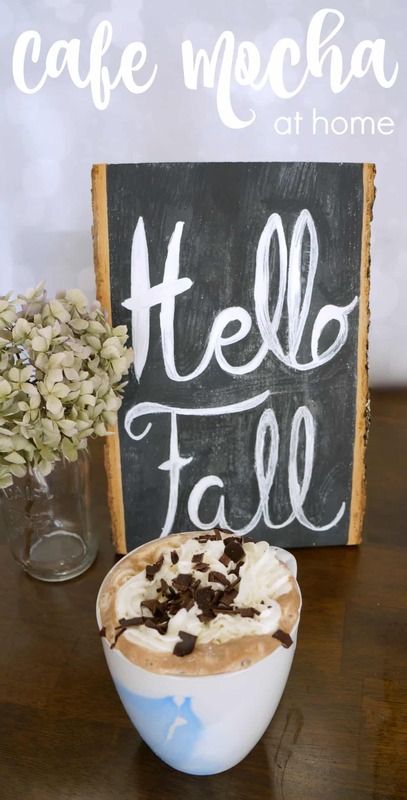 Tell me, when is your favorite time of day to enjoy a delicious coffee treat? Thanks Amanda, you will definitely want to try this. I had no idea that there was buttercream style half and half! Adding that to my grocery list. Oh yes and it tastes amazing too! This sounds so yummy! We don’t have this in Australia so will have to enjoy yours!! That looks so yummy, we love Dunkin Donuts coffee and since we don’t have their restaurant’s here we’re happy to at least enjoy the coffee that’s now carried locally.